The last day to register to vote in Pickens County is this Saturday, October 8th to be eligible to vote in the 2016 General Election. Register online at PickensElections.org, scVOTES.org, or through the My scVOTES app (requires Driver’s License or DMV ID). Online applications must be completely entered and submitted by 11:59pm on October 8th. Register at your county elections office. Our office is open Monday through Friday 8am to 5pm. We will also be open from 8am to Noon this Saturday, October 8th. Download and print a voter registration application at PickensElections.org or scVOTES.org, complete the application and return it by mail, fax or email to your county elections office. Faxed or emailed applications must be received by 11:59pm on October 8th. Mailed applications must be postmarked by October 8th. • If you have moved from one county to another, you must register in your new county by Saturday, October 8th to be eligible to vote. • If you’ve moved within your county or changed your name recently, help ensure a smoother voting process for you and your neighbors by updating your information. The in-person absentee voting precinct opens this Saturday, October 8th at 8am in our office. 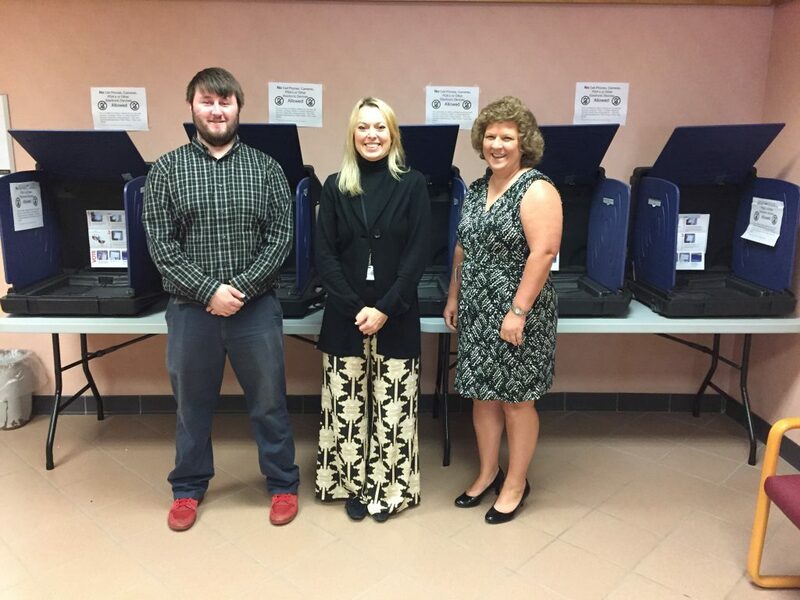 In-person absentee voting ends at 5pm on Monday, November 7th.